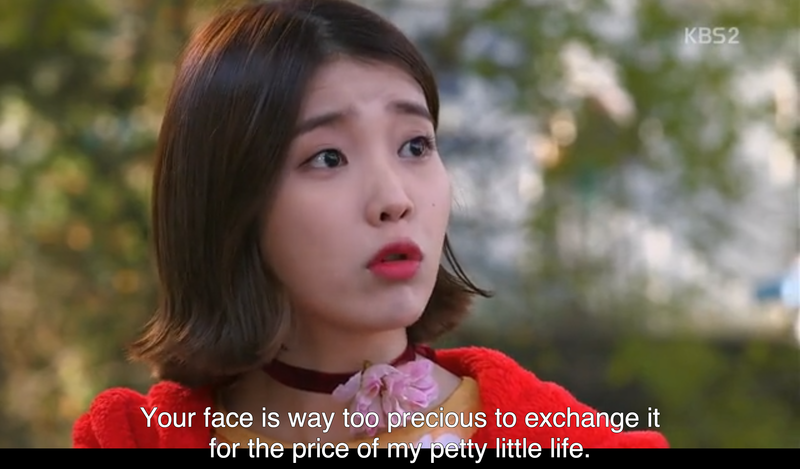 I really like Pretty Man thus far. The premise is still being set up, but I can already tell I am going to love these characters! Bo Tong is winning my heart and although Jang Keun Suk’s character is framed as a manipulative ladies’ man, Ma Te already has more depth than the typical pretty boy. 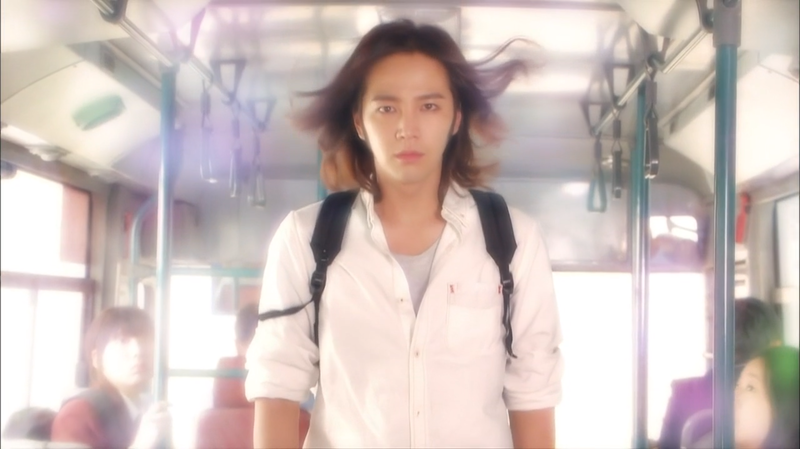 Jang Keun Suk is perfect for this role. 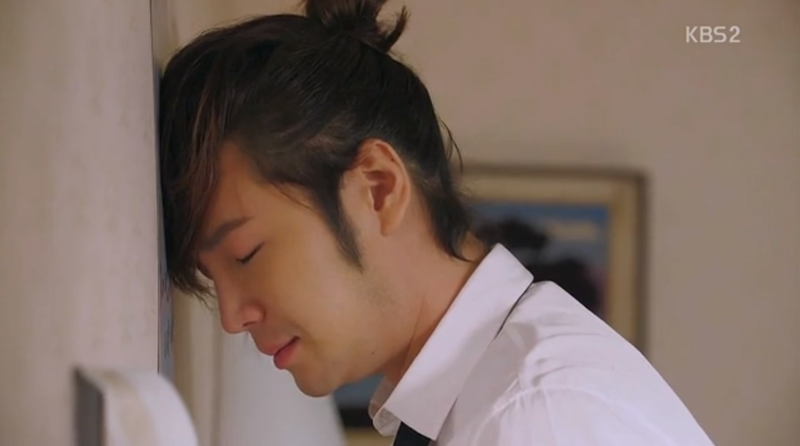 Ma Te’s mannerisms and expressions are ones that I’ve seen Jang Keun Suk sport in his real life. They couldn’t have done a better job casting this part. 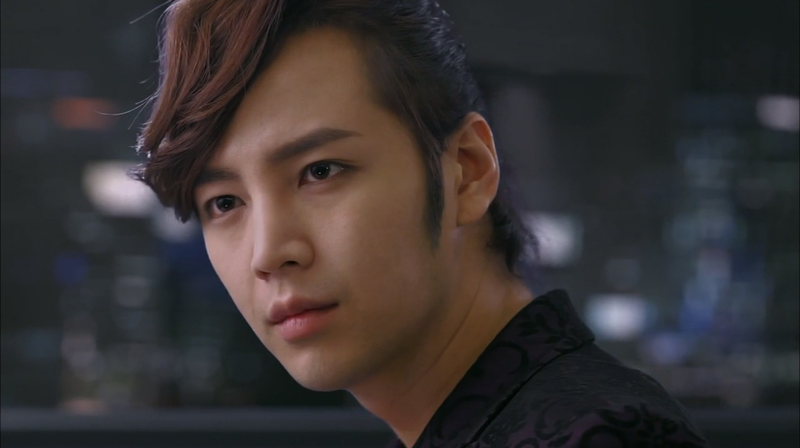 Part of what makes JKS so great to play Ma Te is his actual beauty. I’m not going to lie and say that it’s hard to watch this drama- Asia Prince is always pleasing on the eyes. His beauty makes this role all the more believable. Bo Tong, I get why you adore him so much. He’s gorgeous! You can certainly tell that this drama is based off of a comic book. Certain segments detail imaginative fantasies which a more “normal” drama would never contain. Despite the silliness, I think the balance between reality and comedy is working out quite well. In fact, I’m excited for more as the show goes forward. It’s all part of Pretty Man’s charm. This show is hilarious. Bo Tong especially takes the prize for the craziest/funniest character. Saran wrapping herself to giver her a “hot” body. Falling in love with Ma Te at first sight. Then proceeding to shamelessly stalk him on the bus. Spying on Ma Te and totally getting caught in the process. Brushing her teeth with what she thinks is Ma Te’s beloved tooth brush. Too bad it’s actually meant for scrubbing the tub! And carrying leg mannequins to help sell socks for Ma Te. What?! Who comes up with this stuff? The leg mannequin backpack was my favorite part! 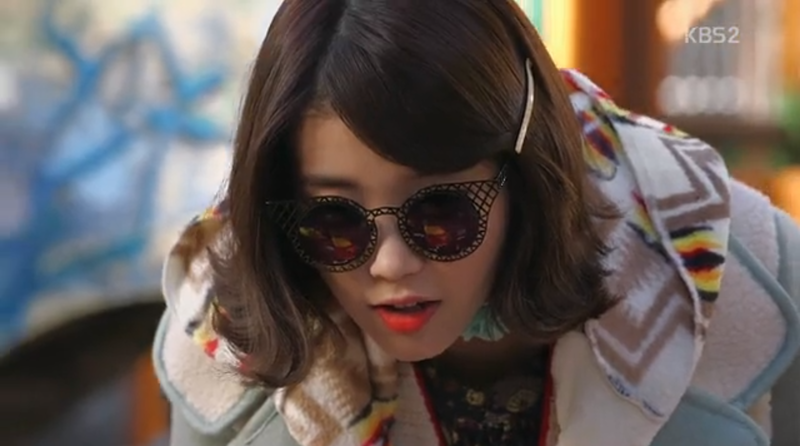 While on the subject of Bo Tong, let’s talk about her fashion. What the heck is she wearing?! Each time she comes on screen I have to do a double take. I can only imagine how much fun IU’s stylist had putting all these ridiculous clothes together. Let’s see, how many clashing patterns/bows/flowers can we cram into one outfit? The sheer level of weirdness is impressive! 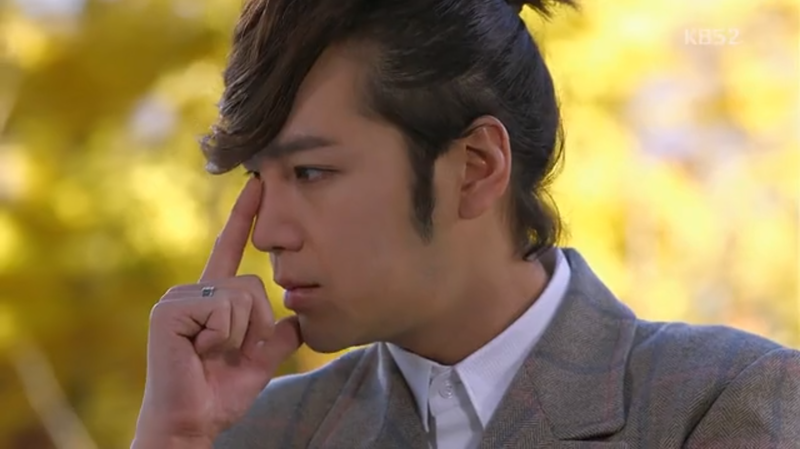 Jang Keun Suk’s head thud is well deserved. 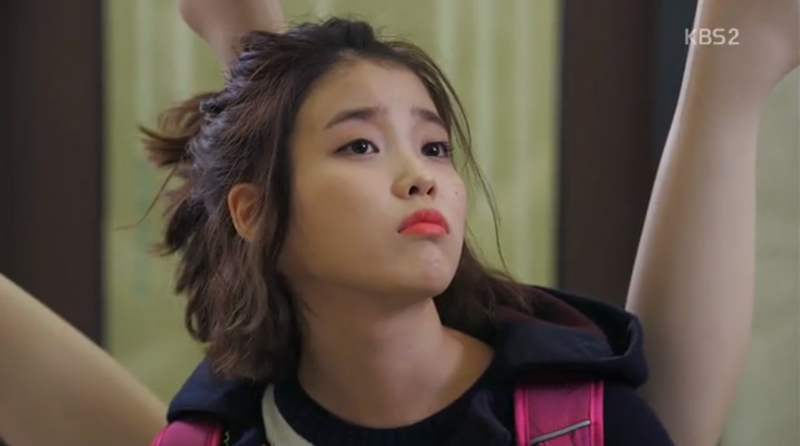 If I were the subject of someone like Bo Tong’s affections I would be doing more than just head thudding. I’m very interested to see how Bo Tong will develop throughout the show. Her 110% devotion to a man with very dubious morals will undoubtedly come into question sooner or later. She severely underestimates her worth! Speaking of people who need to transform, it looks like Ma Te has a long road ahead of him. His outstanding beauty has given him a life of privilege through manipulation. His role as a glorified gigolo may have given him things like a condo and a car, but just how long can this scheme last? I feel bad for Jackie. She’s clearly in love with Ma Te and I’m a bit worried about how their “relationship” will end. Will Ma Te learn from her about the value of money and then quickly take off once he has what he needs? Overall I’m very excited for what is to come! This was a great start to the series and I’m very satisfied with how things are playing out. In fact, the show has a lot more depth than I was expecting; it isn’t all just comedic fluff. Bo Tong is my favorite character thus far, but I’m not above saying that Ma Te’s screen time goes unappreciated. I’m looking forward to more fun to come! Let me know what you think about Pretty Man! What do you like/dislike about this new show? Bo Tang is, by far, my fav character so far. Interested to see how Lee Jang Woo does in this drama since he’s another one I could stare at 24/7 and never get tired.